Year / Header Size / Cats Selection? When only the very best long tube headers and x-pipes will do for your C5 Corvette, it has to be Stainless Works Performance Exhaust Products. 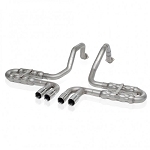 Each C5 Corvette 1997-2004 Stainless Works Headers / X-pipe Exhaust System is made by skilled craftsman, using the latest high-tech equipment and technology. Each system features a 3" center section with x pipe and a bolt-on installation with no cutting and welding required. Manufactured from 304 Stainless, the headers feature 3/8" thick, CNC laser cut flanges, and CNC mandrel bent 1-3/4" or 1-7/8" primary tubes. The headers are completely tig-welded together, and have the AIR tubes and oxygen sensors bungs installed. 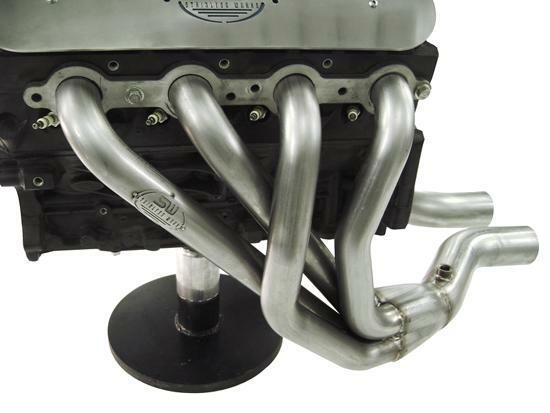 The headers have shown gains of 40+ rear wheel horsepower on highly modified engines. 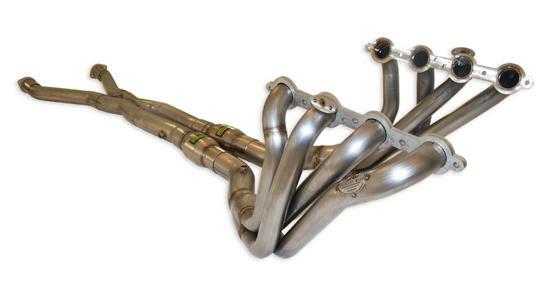 The 1 7/8" headers are perfect for large cubic inch, forced induction, or nitrous oxide applications. Available Options: 1-3/4" or 1-7/8" Headers For 1997-2000 C5 Corvettes or 2001-2004 C5 Corvettes With or Without Catalytic Converters Manufacturer Part Numbers (In Order By Options): C5LS1OR C5LS178OR C5LS103OR C5LS103ORBT C5LS1CAT C5LS178CAT C5LS103CAT C5LS103CATBT Please use the drop-down menu above to make your system selection.